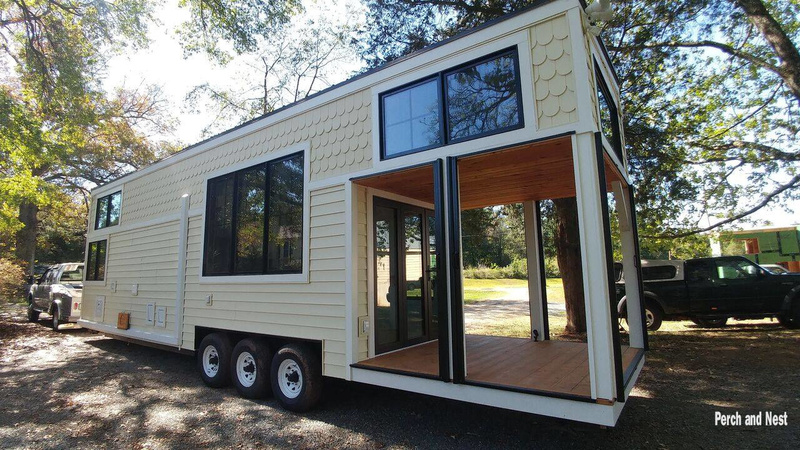 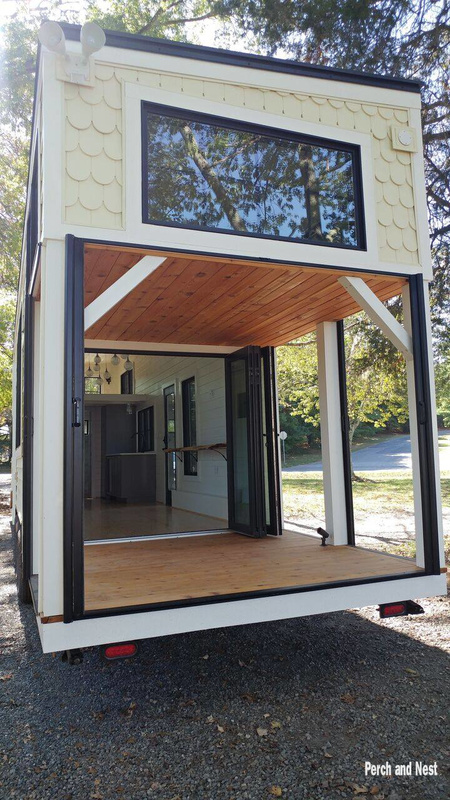 Say hello to The Burrow: a tiny house that perfectly blends modern and cozy into one home. 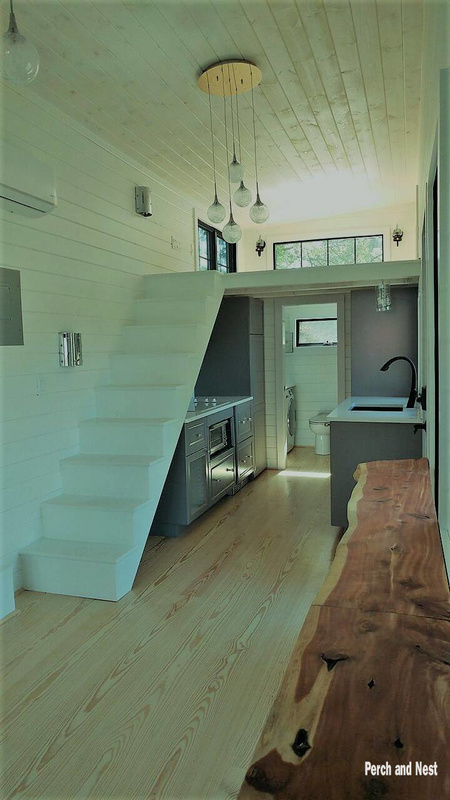 The Burrow is built by Perch and Nest; a tiny house builder from North Carolina that has built many reader favorites including the Roost 36 and Old World Vermont. 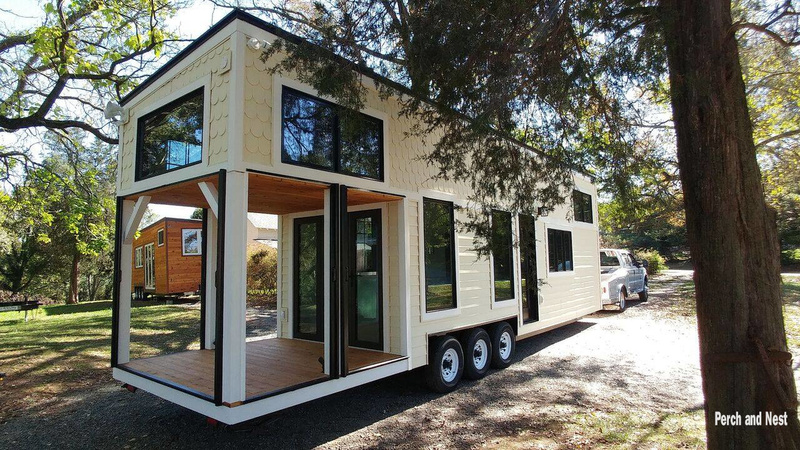 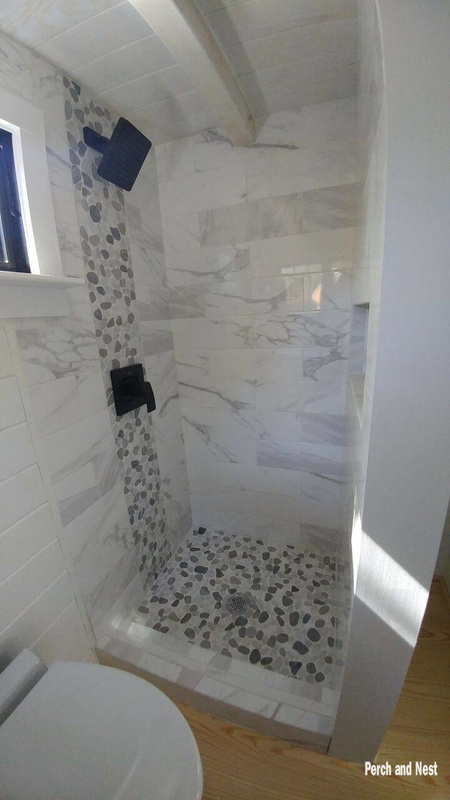 This one is the newest from the company and was built for a client looking to downsize. 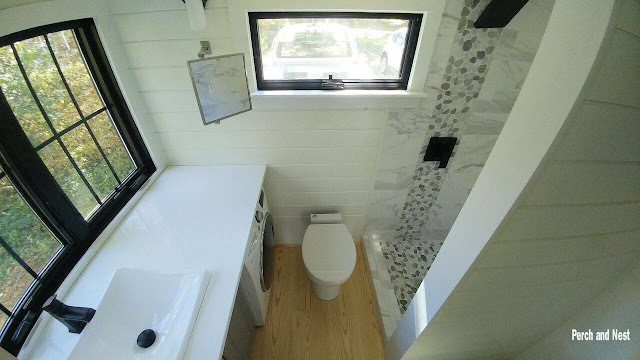 The home is a 36' custom RV that features a rectractable screened porch, cedar decking and a panoramic entry wall. 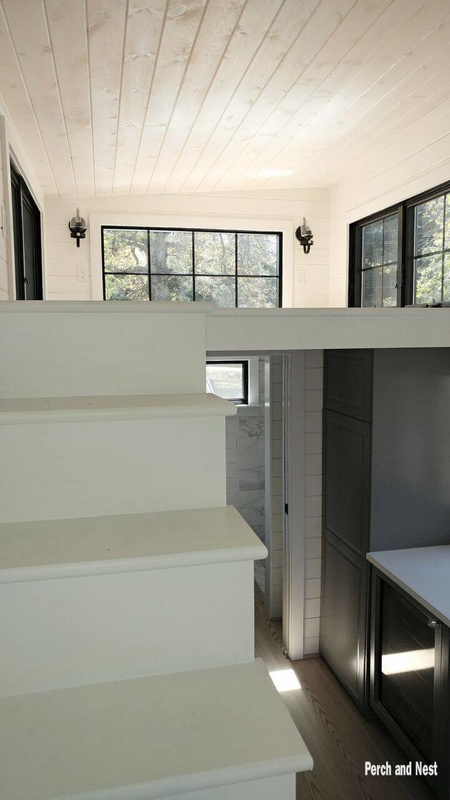 The inside of the home features a clean, minimal design with beautiful pine flooring throughout. 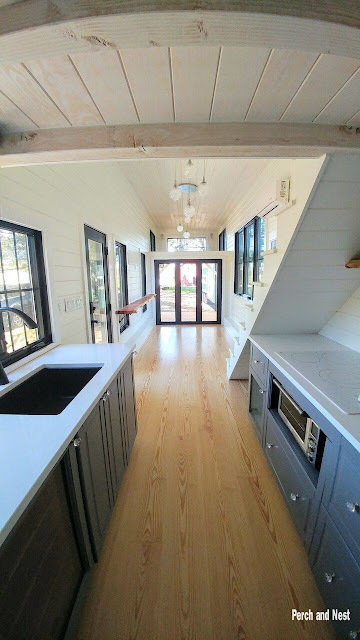 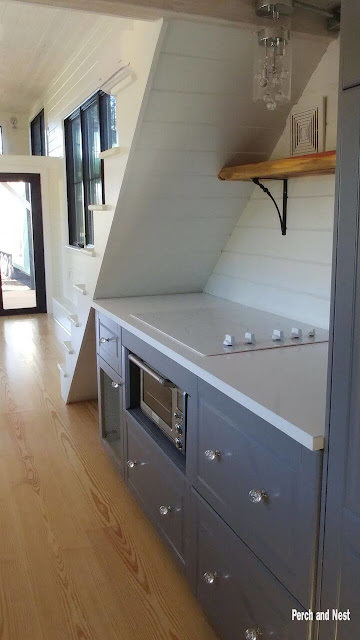 The kitchen is outfitted with quartz countertops, drawer refrigeration, a four-burner cooktop, microwave oven, and a farmhouse-style sink. 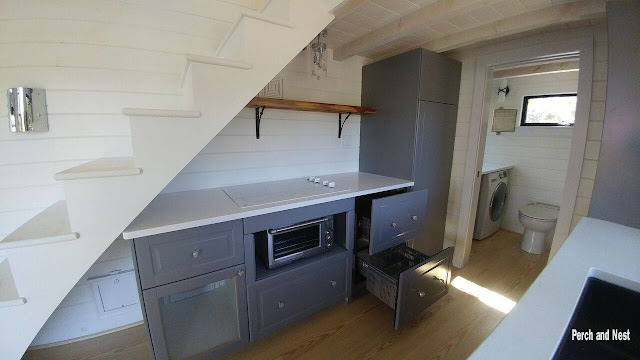 Also included in The Burrow is a loft bedroom that's accessible by stairs, a second loft for storage, living room space, and a bathroom with a tile shower and Saniflo toilet system. 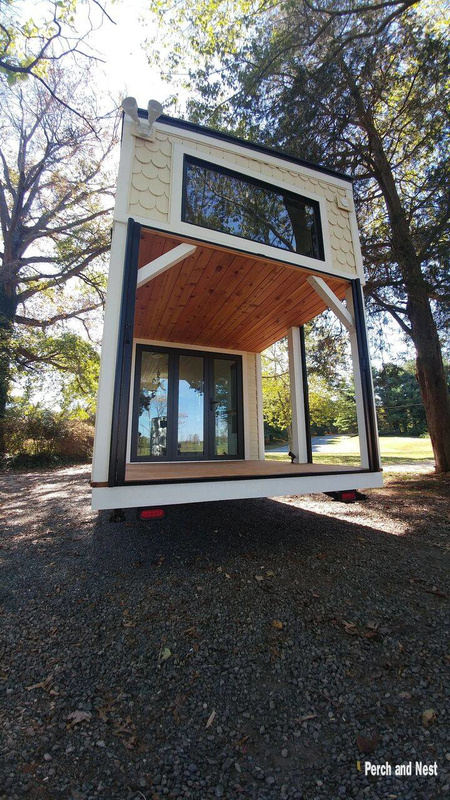 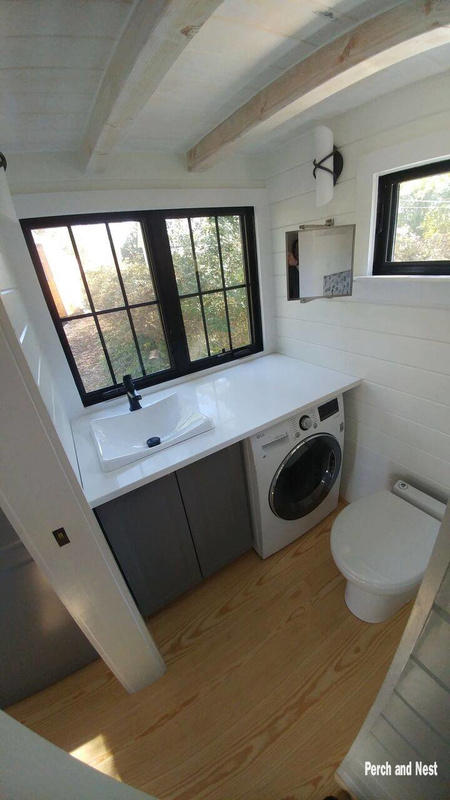 If you're interested in seeing more of this tiny house, you can follow it here on Facebook as it starts its new life with its owner. If you have any more questions and/or inquiries about its construction or working with Perch and Nest, contact the builder here!